Samsung is taking the fight for mobile dominance right to Apple’s doorstep, opening a massive research and development center in San Jose, California. 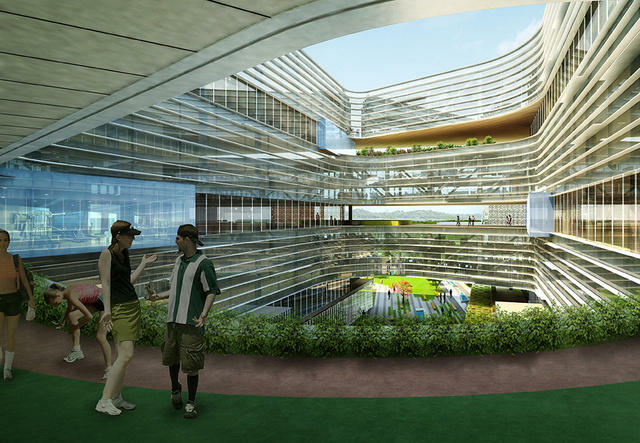 The South Korean tech giant broke ground on the Silicon Valley mega-office on Wednesday. The project will feature public grounds and a 10-story tower, and is just one of four the company has planned for the area. 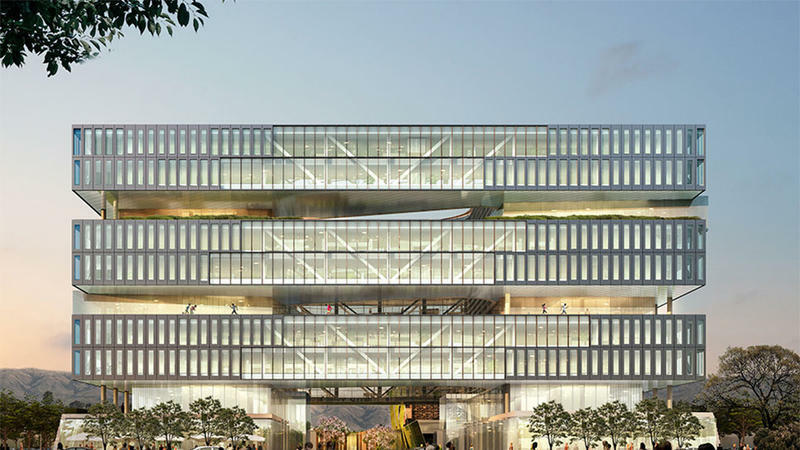 The new R&D department will hold 2,000 employees when it opens in 2015, and was designed by NBBJ, a huge architectural firm that’s been around for nearly a decade. 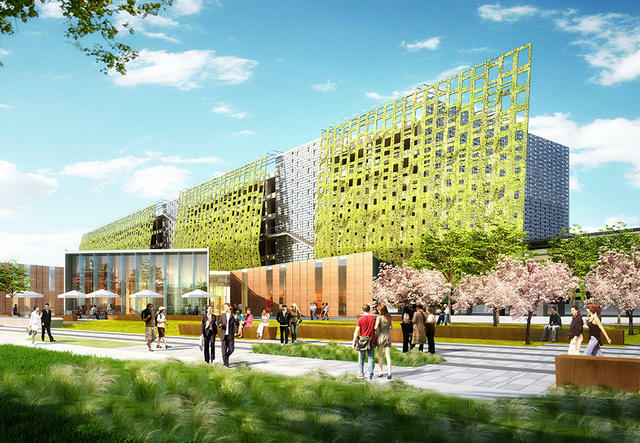 The new campus will feature a public plaza with water elements and art installations as well as a cafe and outdoor seating. The space will also serve as a Samsung Expo to showcase new technology. Moving past the public space, you’ll find a mix of offices and green space which open up into a circular inner courtyard. 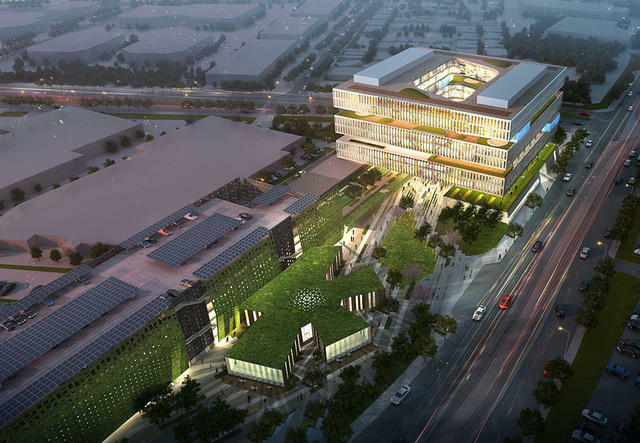 Samsung is also planning to take over a 385,000-square-foot office complex in Mountain View, where Google is headquartered, opening another R&D center in mid-2014. 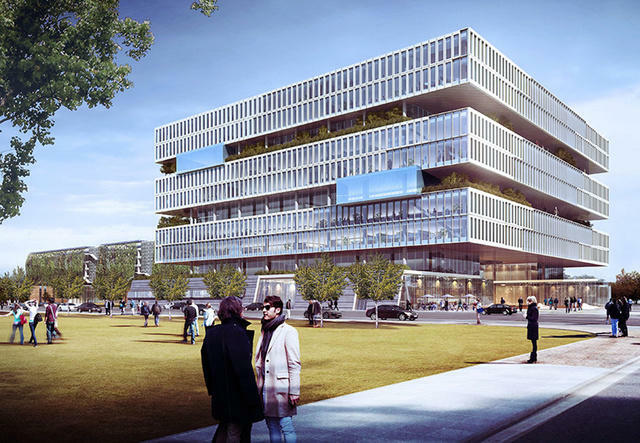 There’s also a Strategy & Innovation Center coming to Menlo Park, and a Samsung Open Innovation Center coming to Palo Alto with the goal of supporting startup tech companies.